Enjoy panoramic views of Lake Minnetonka from this totally renovated home on 100 feet of S.E. facing sandy shoreline. Cherry kitchen with granite countertops, stainless steel appliances and vaulted great room with fieldstone fireplace. 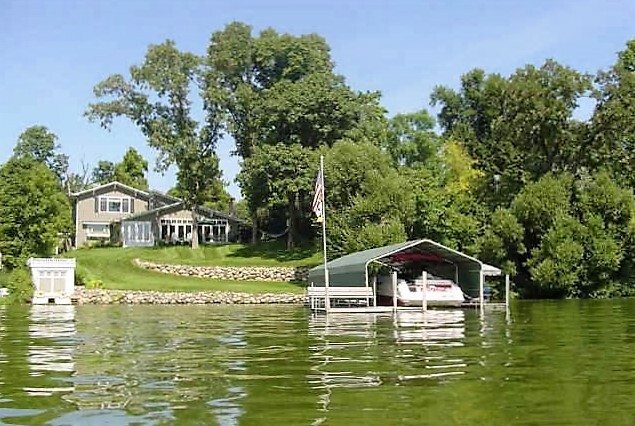 Private lot with lakeshore boat house!